Want to know where Taylor Swift sources one off finds, the place Mad Men stylists gather their loot and even how to speak fluent vintage? Well may I introduce you to your new bible. 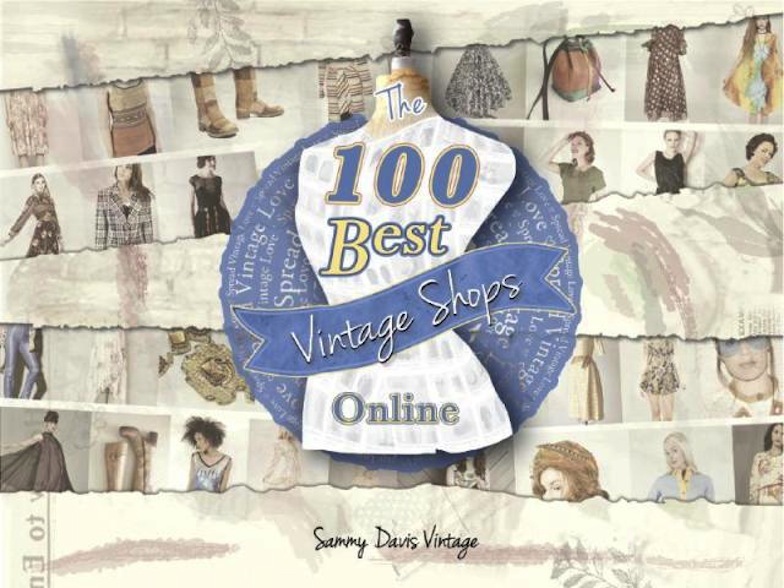 Created by a very sweet sustainable sister of mine Miss Sammy Davis Vintage this is The 100 Best Vintage Shops Online. Beautifully written and curated by a beautiful girl, this ebook is so detailed and extremely well thought through. Sammy certainly knows her stuff. She has spent hours scouring the net to determine the ultimate destinations for our beloved vintage and ranked them according to garment quality, product selection, customer service, photography and social media. Sammy has included a great range of stores via Etsy, Ebay and Independents to suit every taste, budget, body shape and era. It’s super interactive [You can link through to 350 shops, resources and social media spots] and the book is filled with great tips, styling advice, fashion history and fun facts [Like the lotus flower can still sprout from a seed that is 1000 years old – who knew!] A must buy and Fashion Hound very fine thumbs up.